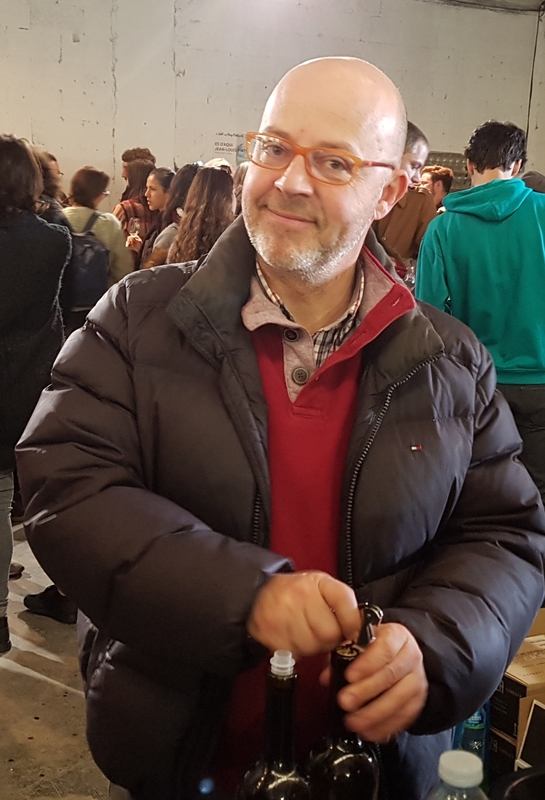 It’s two years or so since I first met Tom Puyaubert and tasted his range of wines, and I instantly knew that this was something to take notice of. I have tasted some occational wines since then, and they have never disappointed. 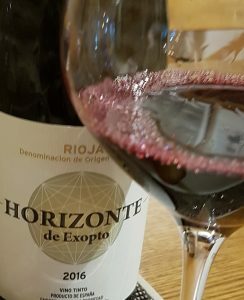 Now at wine bistró Guardaviñas in Logroño, capital of La Rioja, I tasted the Horizonte again. Read about the visit here. 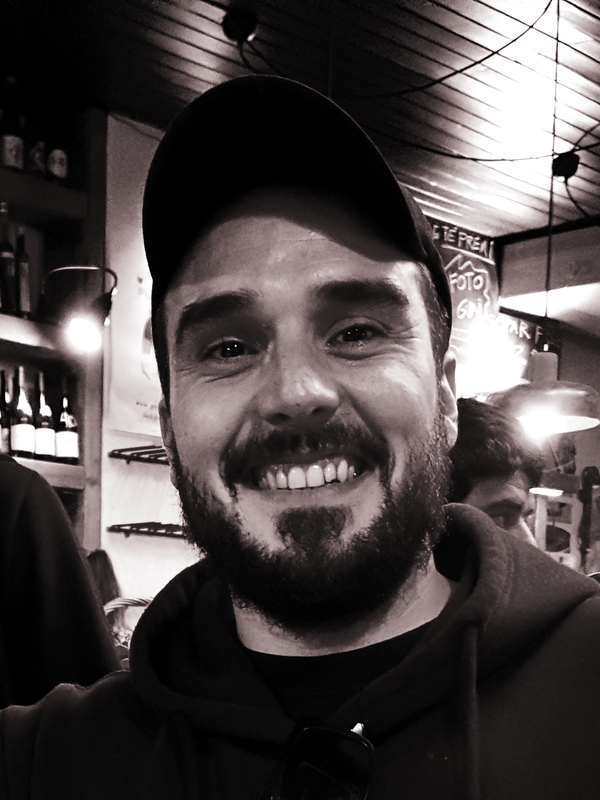 Tom is one of the so-called Rioja’n’Rollers, a new generation vintners that put their focus on terroir. Exopto comprises 10 ha, divided into 15 micro-plots, of 30-90 years old bush-trained vines. He has chosen the vineyards to be able to blend from different types of soil, orientation, altitude and so on. The winery is in Laguardia (Rioja Alavesa), the tempranillo vineyards are found on calcareous soils in Ábalos (Rioja Alta, but near Labastida, San Vicente, Laguardia, i.e. the road that snakes in and out of Alta and Alavesa). For Tom the Atlantic influence of this site is ideal to express the refined fruit and the complexity of the variety. The garnacha and graciano is mostly grown in sandy soil near the Monte Yerga range in the south-east, where maturation especially of the garnacha is easier. The altitude is around 1.000 meters (in Rioja Baja, imagine). Horizonte is based on tempranillo with around 10% each of garnacha and graciano. The fermentation was in oak vats and concrete tanks at 22-26ºC. 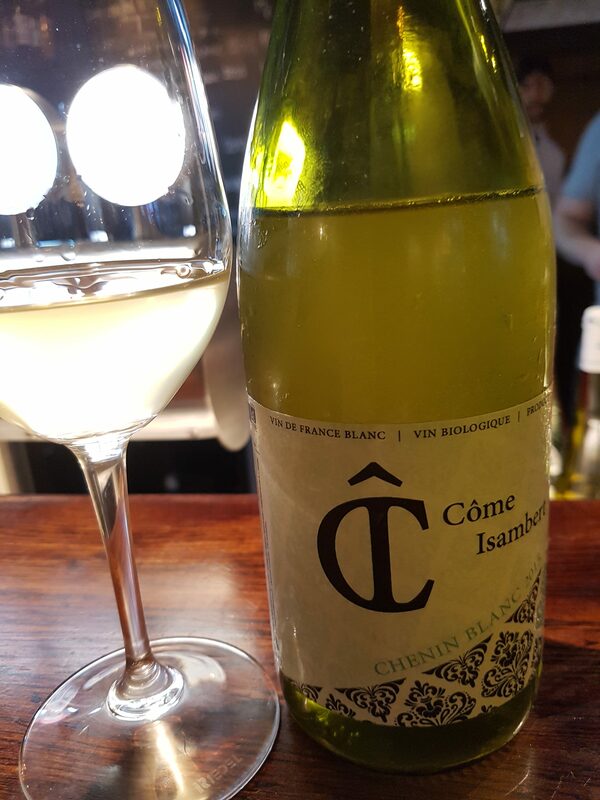 It was macerated for 21 days, and aged 12 months in French oak barrels (20% first use). Dark, dense ruby colour. On the nose blackberry, blackcurrant, a second layer of roast and subtle vanilla in the background. Good concentration, young tannins, very fresh, still in its youth, and will keep for long. Yes, the wine is young. Yes, it’s maybe too young. But if you don’t grab it now you will never see it, and never taste it again, because the production is so small. The best would obviously be to buy some and put them aside for a few years. 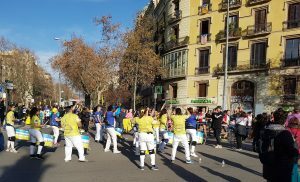 This is a belated article from the Castilla-Rioja trip last autumn, that I organized and guided. The trip (labelled RRR) went through Rueda and Ribera del Duero and ended with more or less 24 hours in Rioja. So what do you show people in just one day, when the area is so vast and there are so many producers to chose from? One had obviously to chose a theme, and not surprisingly the criteria were in accordance with this blog. 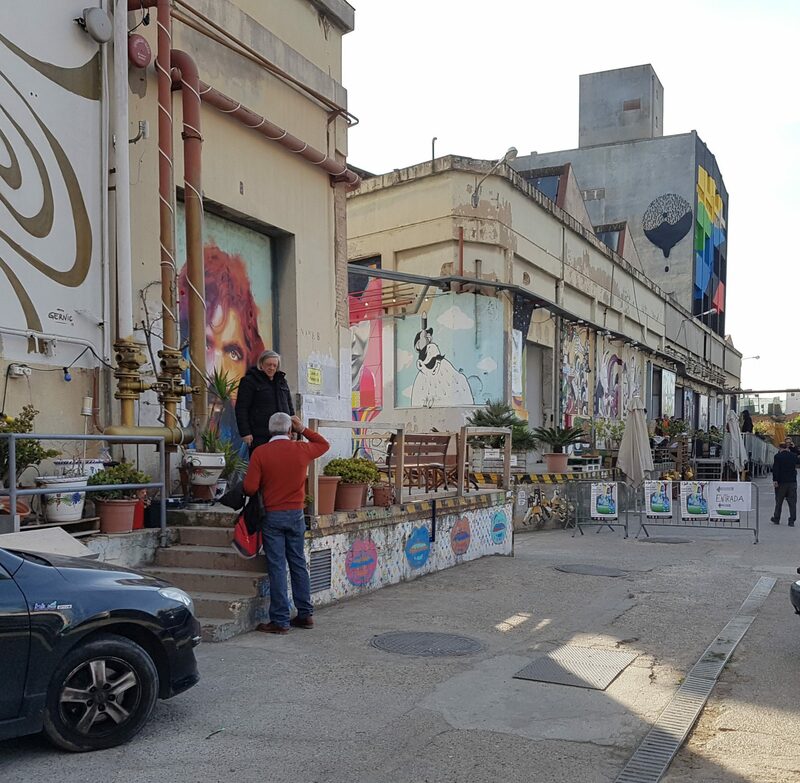 Therefore a big Sorry to all the historic bodegas, the ones from the station neighbourhood in Haro, the ones with noble names, architect designed buildings, big public relation departments and so on. The producers we visited were focused on vineyards, organic farming, expressing terroir through their wines, they were small, and they had their unique personal style. 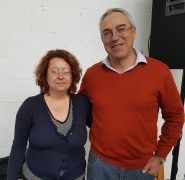 *In addition to the three we visited Lauren Rosillo (Finca Valpiedra), not in Rioja, but in Martínez Bujanda’s bodega in Rueda. Here you can read about it. Arriving at La Granja de Nuestra Señora de Remelluri there were Telmo Rodríguez, his collegue and companion Óscar Alegre and Ainara Martínez from the administration to welcome us. The first thing we do is to go for a walk in the lovely landscape amidst the vineyards around the farm, chat about Remelluri’s place in the scenery and in history, about Rioja politics and many other things. So relaxed, so much in harmony. We are in Labastida (or: Bastida in Basque, as this is Rioja Alavesa), looking up on the Sierra de Toloño, part of the Cantabria range. The farm was bought by the Rodríguez family in 1967. It’s however an old property, having been created by the Hieronymite monks some 600 years ago. -That time around 1970 was Middle Age, recalls Telmo. -There were mules, no tractors… And we ran the farm for 9 years without electricity. When the first vintage was released in 1971 it was Rioja’s first modern estate wine. 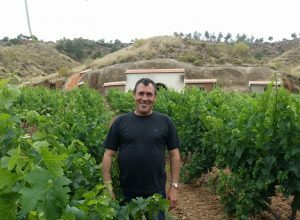 After his project of recovering vineyards and reviving traditions all over Spain for many years, Telmo Rodríguez took over the family property in 2009. Telmo, with his sister Amaia, cut production of Remelluri down 30-40% to maximise quality. Today Remelluri spans over 160 hectares, 100 under vine, divided in around 150 plots. All organic, certified in 2013. Production is now 270.000 bottles, which make them a medium-size Rioja producer. The vineyards are at 6-800 meters altitude, the highest destined for a white wine. 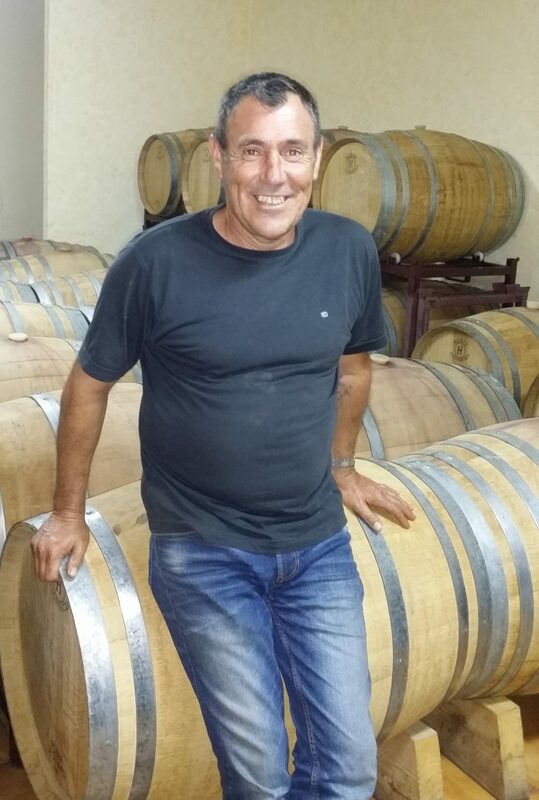 Telmo is an advocate for field blends, as he sees terroirs more important than varieties. Therefore the terroirs are not blended. So the decision was taken that from the 2010 vintage the wine they had made for their good neighbours, Lindes (meaning something like ‘common borders’), should be divided between the two municipalities where their suppliers come from. 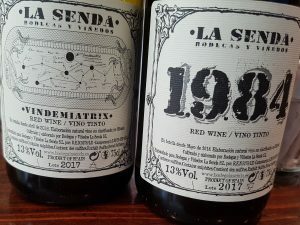 By making two wines it was also possible to show the differences in terroir between the two villages; Lindes de San Vicente is a riper, more structured wine, while the higher altitude Labastida counterpart is slow-ripening, fresher, more floral, and the grapes are typically picked ten days later. There is also an up-grade of the quality of this wine. -We want to pay them higher, says Telmo, -although the pay is already high by Rioja standards. Note: One of the reasons for visiting Remelluri at this moment was the special circumstances, in the aftermath of the aforementioned Manifesto. 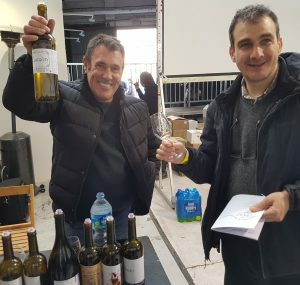 The Basque producers (the ABRE organization where Remelluri is not a member) had threatened to leave Rioja and set up their own DO, and Artadi had already left. Meanwhile most of the Manifesto meeting thought that the best was to change the system from within. What we now know is that the Consejo all of a sudden and quite surprisingly announced the new ‘viñedos singulares’ category, and ABRE put the leaving plans on hold for two years. Back in the bodega house we had a tasting of the two Lindes wines in the 2013 edition, plus the two more famous references, the reserva and gran reserva, both in the 2010 vintage. All were fermented with indigenous yeasts and matured in a combination of stainless steel, concrete, big oak vats and small barrels. 2013 was a generally rainy year, declared “good” by the officials (which means not so good). For us it only means different, a bit lighter than usual, maybe more elegant. Lindes de Labastida 2013 from limestone and clay soils, was quite direct and linear; light red in colour, with a floral aroma, red berries. Lightweight, but refreshing, wonderfully integrated wood, with a good acidity, and overall really nice drinking. 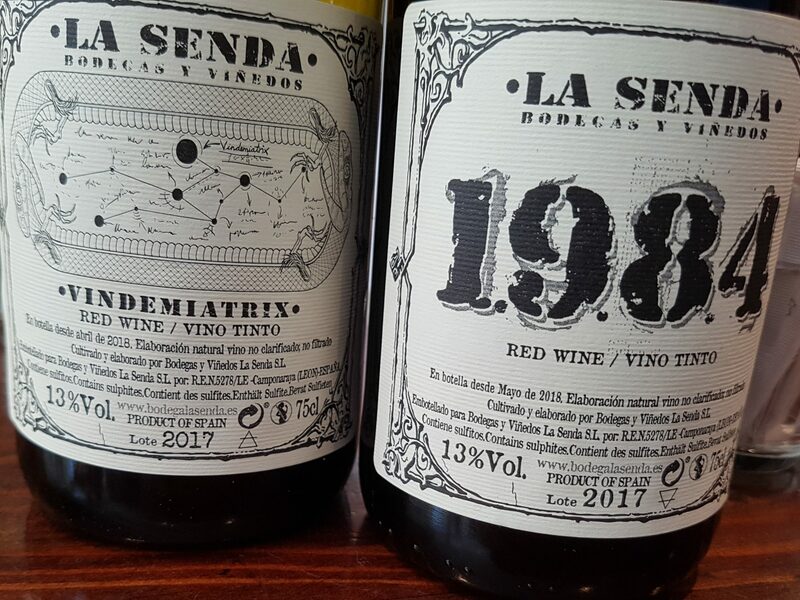 Lindes de San Vicente 2013 (these are often slightly bigger, and harvest takes place some 10 days ealier): Ruby red, slightly darker fruit (blackberry, some blackcurrant), a hint of tobacco. In the mouth it’s rounder, a bit bigger than the Labastida wine, but this one too on the elegant side, though not very complex. 2010 on the other hand, was top rated, with healthy grapes and high values in most parametres, and a good start in Telmo’s comeback. Remelluri Reserva 2010 was aged 17 months in French barrels. It’s definitely darker than the previous wines, more complex with red and dark berries, cherries, plums, some lickorice and some earthy notes. In the mouth it’s fresh, mineral, with already almost integrated oak, good acidity, and very long. Refined. Granja Remelluri Gran Reserva 2010: Here is more garnacha, 25%. It’s a lighter wine, with nuts and a slight touch of vanilla, but with a lot of red berries underneath. Full-bodied, fresh and with good grape tannin structure. There is a timeless subtlety over this one. Goodbye to the people at Remelluri, a short drive up the same road towards the Sierra, and Sandra Bravo is waiting for us in Rivas de Tereso, a hamlet so small that a special meeting place is not needed. 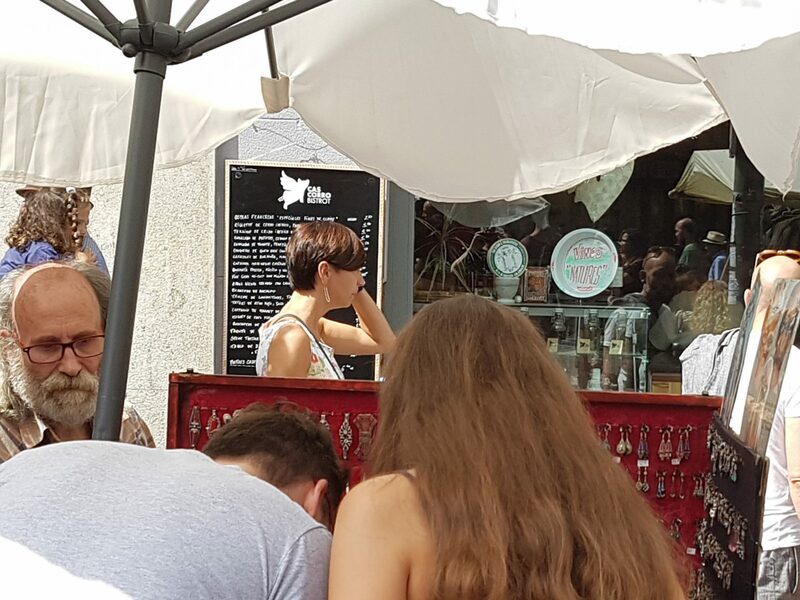 It’s here she has her vineyards, while she is renting an old bodega down in Villabuena de Álava, where she has both steel, amphoras and wood of various sizes and ages. 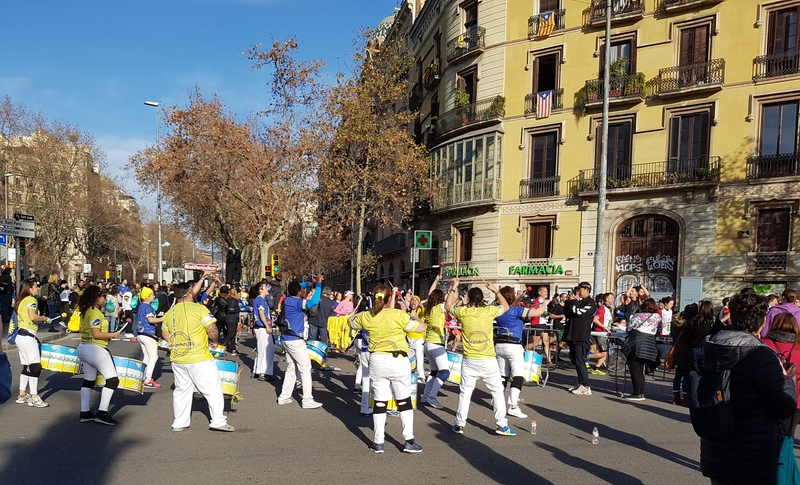 She belongs to the activist group Rioja’n’Roll, but in private Sandra is not noisy, as she appears calm and balanced. The group wants to put the focus on the vineyards, and let the wines speak about them. Like Remelluri and many others around here she one foot in La Rioja and one in Álava. -I describe my wines as Alavesa, says Sandra, cool wines from mainly calcareous soil, small plots, and there is always the north wind that brings freshness to the wines. In addition to the freshness from the climate, Sandra is almost always the first in the area to harvest. She makes a total of 42.000 bottles a year, quite small by Rioja standards. 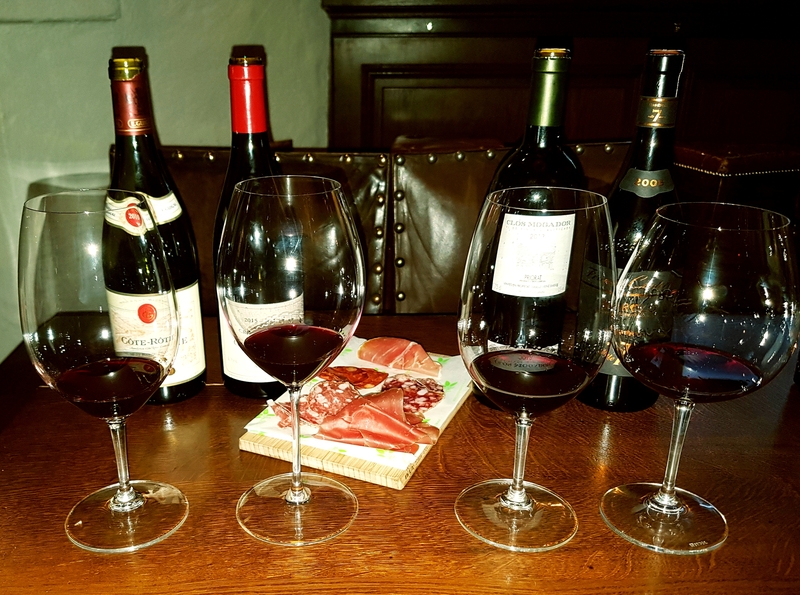 Down in the Villabuena cellar we tasted through some of the wines, and I go through them only briefly. Sierra de Toloño Blanco 2016 is a viura 100%, biodynamic farming (like in most of the vineyards), the grapes are de-stemmed and 90% is made in steel, the rest in French oak, all kept on the lees. It’s light in colour, fresh aroma with white flowers hay. In the mouth it’s round, with well-integrated acidity and a salty touch. Nahi 2016 (nahi is a Basque word meaning ‘desire’): This very special, lovely white comes from more than 80 years old vineyards around Villabuena. It’s a field blend of recovered plants of various varieties, mostly viura and malvasía, but also some calagraño and rojal. They were fermented together in a big barrel (500L), and has a gentle ageing in wood too. It has an aroma of white flowers too, but also a tough of fennel and smoke. It’s rich, soft, concentrated and long, but the acidity is not of the sharp type. Now for the reds: Sierra de Toloño 2016, a 100% tempranillo from 600-750m altitude. All destemmed, spontaneous fermentation in steel, then a year in old, neutral barrique, no fining or filtering. Cherry red, aromas of violets, blackberry and some balsamic notes, a slight touch of chocolate. In the mouth it’s very, fresh, young but rounded tannins, the fruit is there all the way. La Dula 2016: This is a 90% garnacha, the rest tempranillo from the vineyard La Dula planted in 1944 at 700m in Rivas de Tereso. 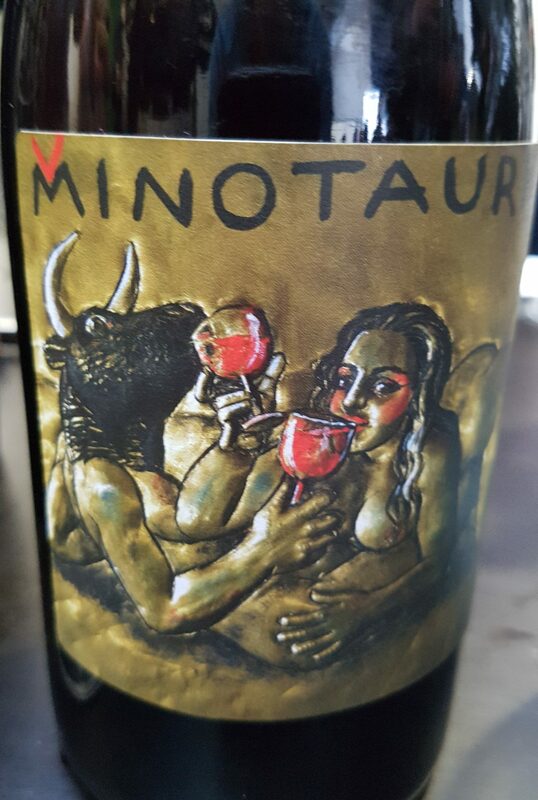 It’s fermented in 300L amphoras, aged there for 12 months, before bottling, unfined and unfiltered. Quite dark, very floral, with herbs, laurels… Luscious, juicy in the mouth, but also with a delicate structure. Rivas de Tereso 2015: This is a single vineyard tempranillo from 650m altitude. It fermented very slowly in amphora for one year, then aged in a second-use barrel for one year. Deep red colour, aroma of red fruits, blackberry, some coffee. 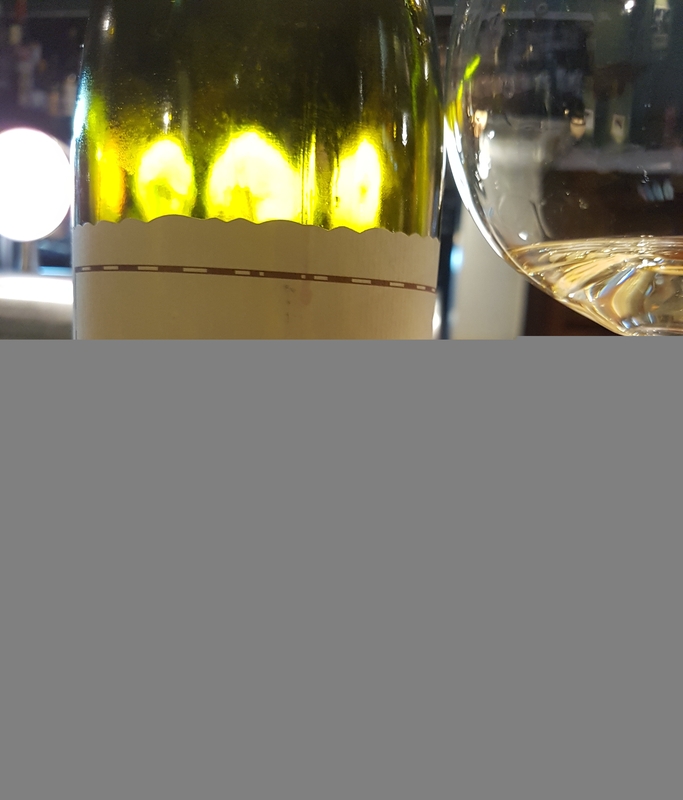 It’s more full-bodied and contentrated than the other wines, more calcareous, mineral, deep. The tannin structure is evident, it’s mineral, and the acidity gives it freshness. Both powerful and elegant. One for the shelf, but one you still can’t hardly resist. It is a lovely next morning with all the colours that the Riojan autumn has to offer when we head south to the Najerilla valley from our hotel in Labastida. We reach the small settlement of Baños de Río Tobia in the Najerilla valley, southwest of Logroño, close to the Sierra de la Demanda mountains. This is one of the coldest areas in Rioja (competing with the area we just came from, Sierra de Toloño). Juan Carlos Sancha’s work as a vintner is based on the results from his work at the University of La Rioja, Logroño, where he is a manager of the Master of Oenonology studies and has a special interest in nearly extinct local grape varieties. 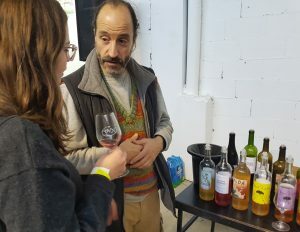 He had already started to experiment with these varieties when he was a winemaker for Viña Ijalba, known as the first Rioja producer of certified organic wine, just outside Logroño. He makes 45.000 bottles per year. Juan Carlos sees his vineyards as being of two types: 1. young vineyards of autoctonous grape varieties, 27 different (1.200 bottles of monastel, see below, belongs to this group), and 2. singular vineyards (centennial vines of garnacha), that are going to be submitted to that group once the new regulation is put into practise. He plans to launch up to 8 wines as “viñedos singulares” according to the new regulations. -Rioja had 44 varieties in 1912, says Juan Carlos. In 2000 there was “practically” no more than 7 (ok, save for some “projects”). Among the grapes he works are red and white maturana, white tempranillo and monastel. The name of this last one resembles several other grapes, but it’s another. Juan Carlos claims that to make the only wine in the world from this variety. What we are also about to taste are wines from old garnacha plots that he recovered. Some of them were planted by his grandfather in 1917 at Peña el Gato, 750m above sea level. He makes a no-sulphite added garnacha and the Peña El Gato Garnacha Viñas Centenarias from his own vineyard. The rest are from local vinegrowers. The wines are bottled separately, and the name of each grower is featured on a neckhanger. These last wines are quite exclusive, as none of them reach 1.000 bottles. There is also the Ad Libitum range. The name is Latin, used in music and denotes something that is free, or improvised. 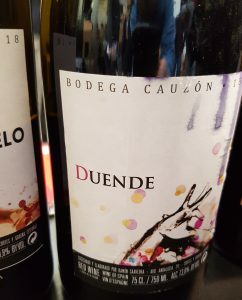 This is a good name for a creative winemaker as Juan Carlos Sancha. The range includes a white tempranillo, a mutation of red tempranillo discovered a few years ago in a Rioja vineyard. According to Juan Carlos all white varieties are mutuations of red ones. Up on the peña with these magnificent views and the autumn sun chasing the morning mist away, we had a pieceful tasting. Four wines were brought up there. Ad Libitum Monastel 2016: Not the other varieties with almost the same names, no: monastel, monastel de Rioja. The wine was fermented in big 500L barrel (new French). It’s clear red, clean. A meaty and spicy aroma, but also red berries, like cherry and some strawberry. A serious wine with firm tannins, and a nice acidic touch. Peña el Gato 2016: Garnacha planted in 1917. Juan Carlos claims it is impossible to find a 100 year old tempranillo. Light red colour, raspberry, blackberry and aromatic herbs on the nose, firm structure, very fresh acidity (7g), and some coffee too. Peña el Gato 2016 Terroir Rubén Olarte (the original, 160 year old vines, clay/calcareous soil facing south and west). Raspberry, blackberry, caramel, lickorice. Maybe more complex, but somewhat less fresh, lots of rounded tannins, rich, and more evident alcohol (at 14%). 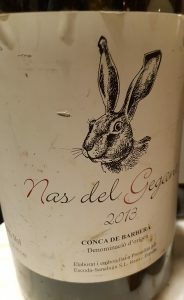 Peña el Gato Natural 2016: Garnacha again, no added sulphur (total 8 mg). Cherry red, blackberry, red fruits. 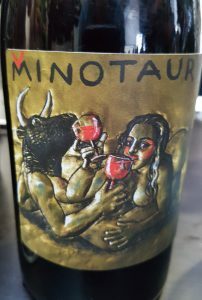 Has a certain “sweetness” (from elaboration in wood), but good acidity too, good structure (more tannin than the others, that comes from a really low production because of the steep vineyard where the water escapes). This trip started in Rueda, continued through Ribera del Duero, and this was the last visit. Back in Madrid we said goodbye with a meal at the Gastroteca Santiago. 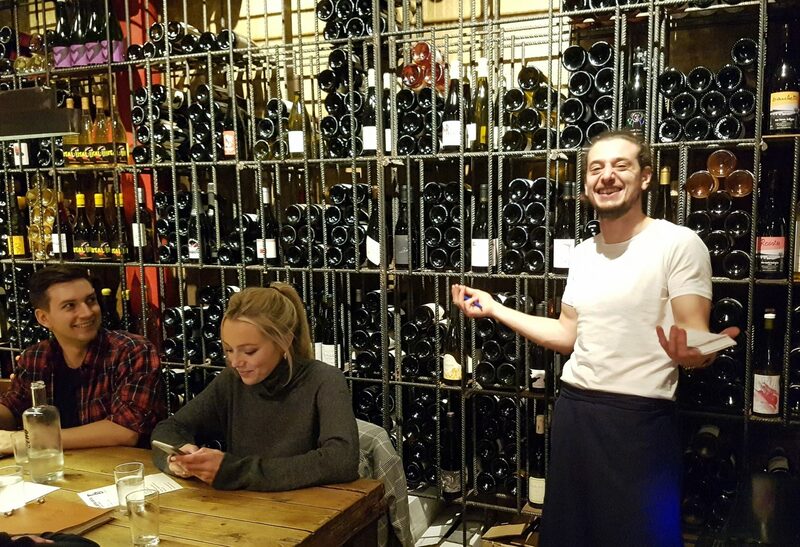 And the circle was completed when our promising 18 year old “apprentice” got the Rueda that we started out with, and then the Monastel de Rioja. It might be some time until next time. 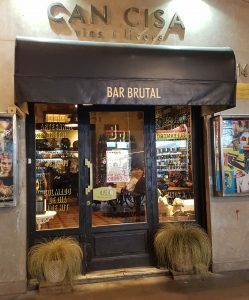 What their creators have in common: A deep passion, knowledge and respect for the land and for the tempranillo fruit, or tinto fino, as it is often referred to here, and a desire to express it in the wines. Always with an eco-friendly approach in mind. After a drive up the narrow, rugged path we knew when we saw the stately, stylish new bodega that we had come to the right place. And Javier Zaccagnini was welcoming us. So no doubt, with Javier from the DO and Mariano of Vega Sicilia fame, Aalto got a flying start and was a success in the market from the first day. Aalto’s style is fruity, powerful reds, good young with a hearty beef, but showing more elegance through careful ageing. 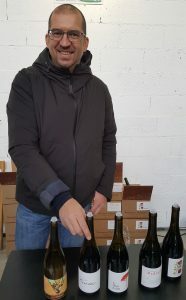 Mariano knows the area in great detail, and they own plots of tempranillo many places in the D.O., 110 hectars and 200 plots in all, none bigger than 1 hectar. 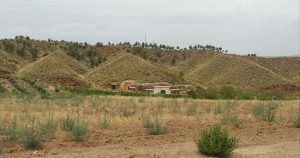 The complexity and balance is a result of myriads of soil types, altitude, exposition and so on, according to Javier. Most grapes are sourced from La Horra, a small village in the Burgos province, quite far from the bodega, but there are always varying percentages from places near La Horra like Roa and La Aguilera, then Moradillo to the south, Fresnillo or Baños more to the east – or Quintanilla, in the west where the bodega is. Javier tells about how he brought his son Michael into the company. 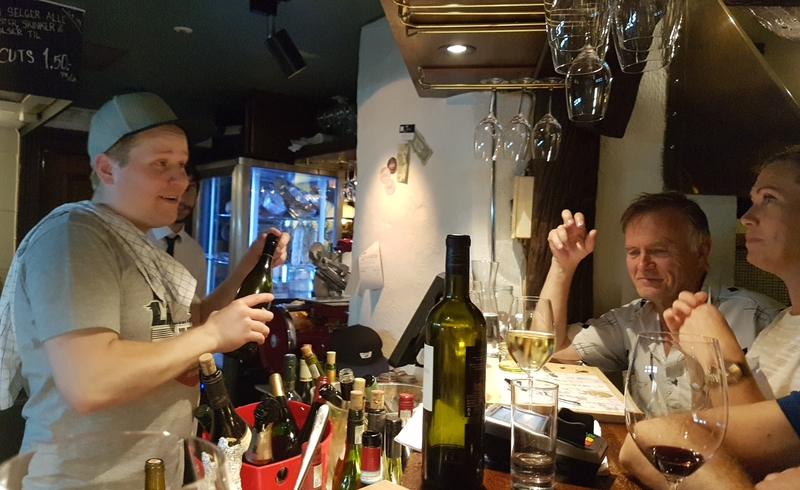 -Michael was studying oenology, and insisted on receiving the lowest possible pay according to Spanish law, Javier says. -Being near and learning from ‘the master’ was enough for him. I had to accept, for a year, but then I had to rise his salary because he was so good, and he worked hard and independently. The thing was that I couldn’t treat him different because he was my son, in this case: I couldn’t treat him worse than others! Two wines are produced, Aalto and Aalto PS (that stands for ‘pagos seleccionados’, selection of plots), that retails for around 30 and 60€ respectively. The grapes are exclusively tinto fino (or tempranillo), as cabernet and merlot have too long cycles for maturing here. And all vines are at least 60 years old. PS is basically from La Horra. The alcohol fermentation lasts 5-10 days. The temperatures are raised from 10 to 14˚C when they want the fermentation to start. When asked “how organic” the farming is, Javier says that they don’t want to damage the planet. Thus the farming is organic, not certified though, but it might be that something would be used to prevent mildew. Only natural yeasts are used. We tasted the wines in the 15 vintage. Aalto PS 2015: Deep purple, still darker. Blackberry and blueberry, toast, while lickorice and anis adds to the freshness on the nose. Rich and heavy, this one too with ‘demanding’ texture, and big in the mouth. It’s somewhat more oaky, but it’s made for a long life. High up in Piñel de Arriba in the Valladolid province some 920-950 meters above sea level we found Valtravieso, the journey’s biggest surprise. Here I will report only briefly from the visit, as the long story has already been published here. 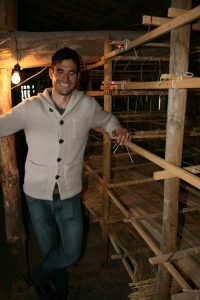 Ricardo Velasco works very naturally, the farming is dry and if all is well nothing is added. High up in Piñel is a long ripening processes, which is good for the aromas and flavours and improves the acidity in the wines. The long sun exposure gives good colour to the grapes. The great differences between day and night, especially in summer, when temperature can drop 18º C, brings more polyphenols, and with it higher antioxidant content. I had met Alfredo several times, around in Spain, and once in London. 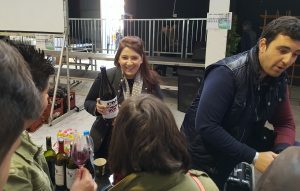 (You can look at the pictures from Gredos here, and here is a report from London’s Real Wine fair.) He is always fun to be with, very unselfish, and always ready to help. When I first met him I contacted him to see if I could visit him in Gredos. 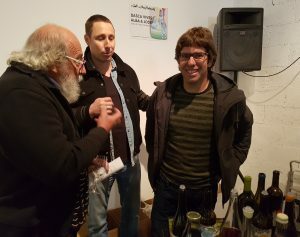 But as a leader of the Garnachas de Gredo group he proposed to organize the trip, and finally we drove around all the area together and met around ten producers. He also deserves the credit for our “discovery” of Valtravieso, that came in as a substitute after an appointment in the Soria province was cancelled. This was the first time I had the opportunity to visit his bodega. The humble winery with no doorsign is located by the main road in Peñafiel, close to our hotel (the Ribera del Duero), and looking up against the majestic castle that is now the “parador” (in the chain of stately run tourist hotels). His bodega is located, I would say, in the heart of Ribera del Duero, at least in the middle of the major town of the western part, not far from Protos, Vega Sicilia, Villacreces – or Aalto – to name just a few. He refuses to use the DO Ribera del Duero though. 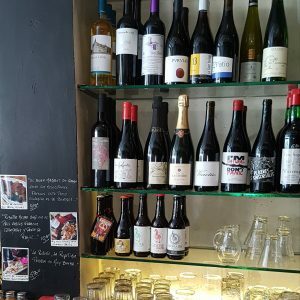 This is for two reasons, because he wants to have freedom, and also because he makes wines from several places within the Castilla y León region. 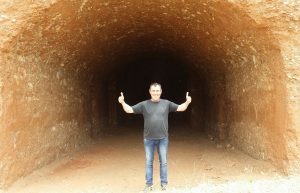 His native Peñafiel is in the Valladolid province, where he has some 25-27 hectares, but he also operates in Valtiendas (Segovia), Cigales (another D.O. 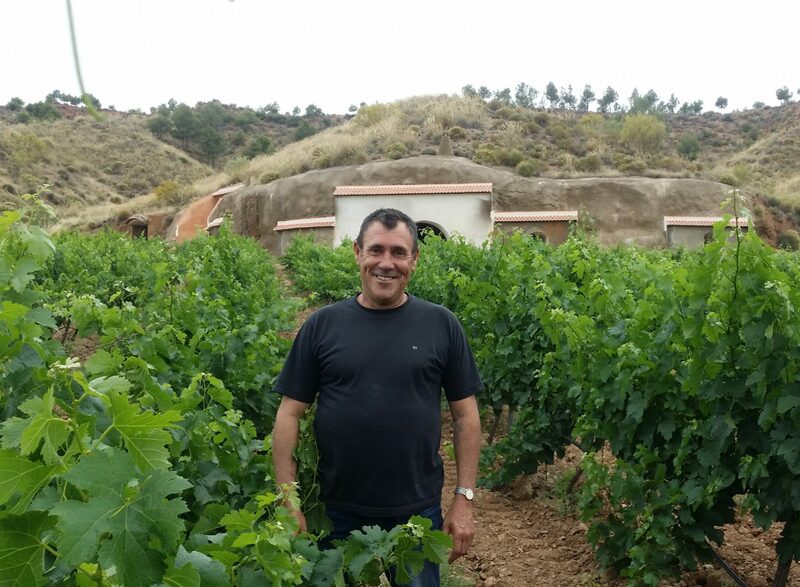 in Valladolid) and Navarredondilla in the Gredos mountains of Ávila, where he has 5-7 hectares own vineyards. That is why he rather wants to bottle everything under the broader Castilla y León designation. All of his wines are very pure, with a clear-cut fruit. 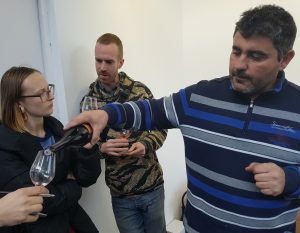 We tasted a few through the tour in his cellar, first a skin-contact albillo mayor (the Ribera variety, as opposed to the more aromatic albillo real from Gredos) called Consuelo, a tasty wine with some mature apple and apricot. The 46 Cepas is a merlot from Peñafiel made with stems; dark, aromas of green pepper and herbs, quite warm. An all time favourite is Almate, now in the 2016 vintage, a tempranillo from both sides of the Ribera del Duero border, which means partly from Valtiendas, Segovia: Dark, grapey, juicy and with a cool freshness. 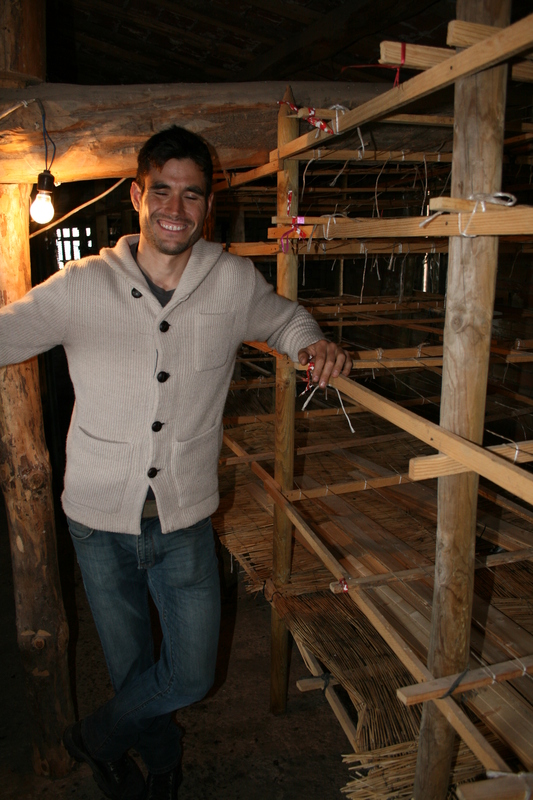 Alfredo has been given several vineyards from old people, that rather will see them in good hands than abandon them. A really interesting wine is a rosé from Cigales, aged partly in chestnut, made from 75% tempranillo (the rest is “de toda la vida”, which means it could be practically anything, red or white). This is the old style from a former stronghold of delightful rosés, in contrast to the many “well-made but utterly boring” rosé wines nowadays, and he calls it Rosado Clásico de Valladolid. 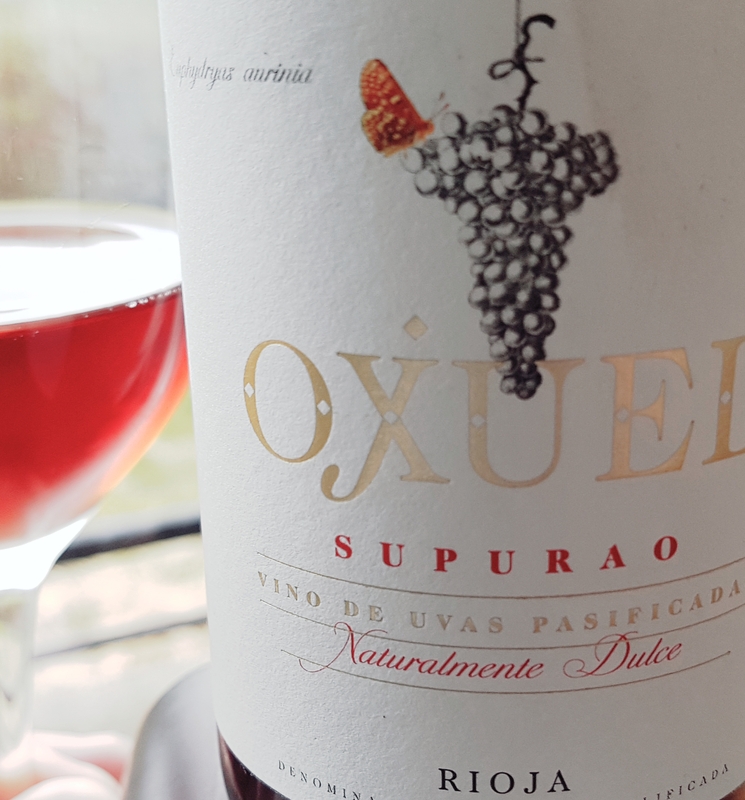 It has very little skin-contact, but the colour is light red-orange, delightful raspberry and citric aromas, and it’s tasty as few rosés on the market. Very, very good! We also tasted the Marciano 2016, a Gredos wine, high altitude (1.200 meters). This is a garnacha grown in granite, made with 100% stems. It’s very fresh with a high acidity. His most typical Ribera wine is Castrillo de Duero, now in the 2016 vintage. It’s mad from grapes grown in Castrillo at 960 meters. This is a red fruit-driven wine, a bit balsamic and with very fresh acidity. 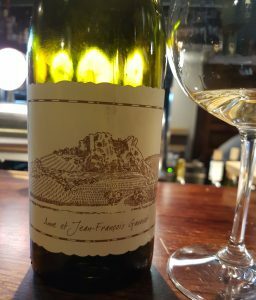 It has stayed some months in rather neutral French oak, and it’s not at all oaky. The last visit before we leave Ribera del Duero is no less than the emblematic Dominio de Pingus. Already something of a legend even though it didn’t start untill 1995. This is Danish oenologist Peter Sisseck’s project. Today is another busy day for Peter, but he has the time to say hello and good-bye. It was Julia Zhdanova, assistant to the winemaker, who welcomed us and guided us through the facilities and the history behind Pingus. There are many people working to ensure that everything is right. Among them are 6 people in analysis, who are helping other producers in the area too. They also work in collaboration with universities, such as the one in Cádiz for yeast environments and Valencia for bacteria. The winemaking at Pingus is very natural, and biodynamic principles are used. But in case something goes wrong, you can be sure that there is a back-up plan. 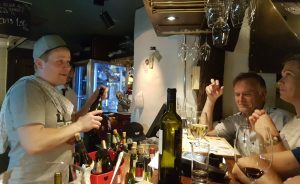 Many people has wondered why is the wine that expensive (selling at 800-900€ per bottle in Europe, 10 times more than Aalto PS). Speculation is of course an element in this highly regarded and limited quantity wine. Julia says that it was not the intention to push the price through the roof. But it was obviously of a high quality, and when the first vintage was shipped to the USA, the boat sank and the highly valued bottles went down with it. This raised the price significantly, and it has been kept high since then. It’s mabye convenient to give a brief background here, since we have now already travelled back in time. Peter Sisseck came to Spain from Bordeaux in the late 1980’s, and it was almost by coincidence that he became involved in wine. He was appointed to direct the new Hacienda Monasterio, now another big name in this area with a huge concentration of important wineries. 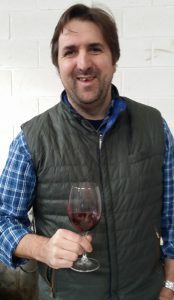 While at Monasterio Peter discovered some plots of old tinto fino vines – wild, but of outstanding potential – and decided to make a wine of his own. This was the start of Pingus, his nick-name from his childhood. He was himself amazed about the quality of that first vintage, the 1995. So was American critic Robert Parker, who scored it higher than any Spanish wine so far. So when Peter went back to Bordeaux and presented it at the “en primeur” tastings it was already the talk of the town. But, as we have heard, the first shipment to America (from a total production of 12 barrels) went down, and the prices went accordingly up. 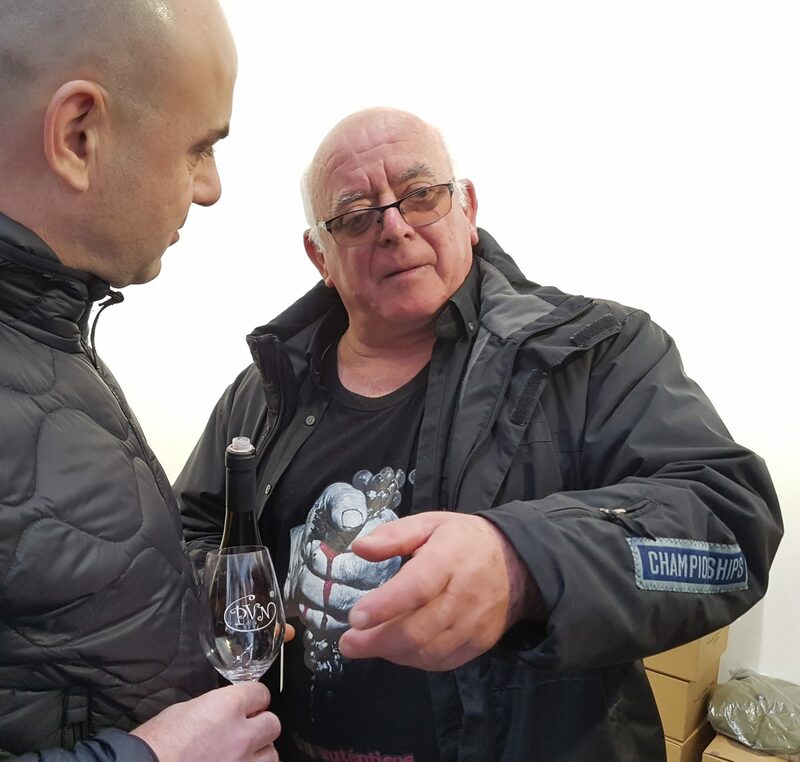 And as we shall see, although the production is always less than 500 cases the income has given Peter the opportunity to embark on projects that will benefit other winegrowers in the region, and possibly also the DO as a whole. 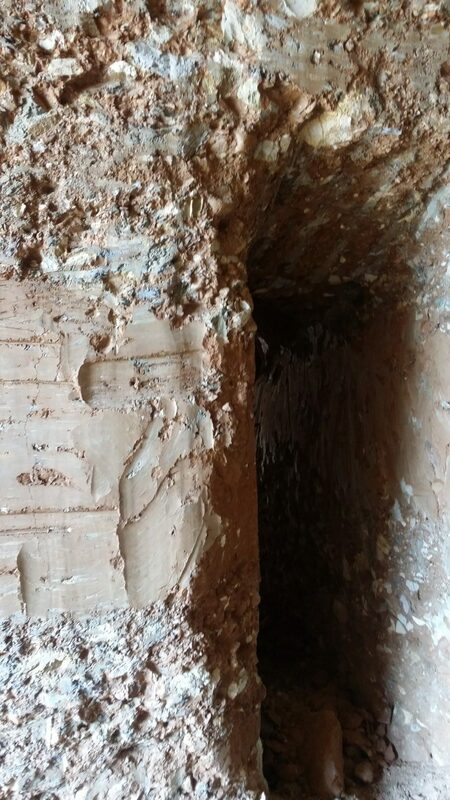 Peter and Dominio de Pingus is now further exploring the map of Ribera del Duero, a work that has been generously offered to the Consejo Regulador (the regulating body in the wine industry), who has welcomed it. This will be important for a new classification of vineyards in Ribera del Duero. I remember from an earlier occation that he spoke about how well he was received in Castilla, the openness of the people, ready to help and shared willingly of their knowledge. PSI, a project and a wine named after a letter in the greek alphatet that resembles a vine root, is a project that Peter has created to help local farmers to fulfill the potential of their vineyards. He loves the region that has given him so much, nature both rough and graceful and with lots of character. Pingus was originally sourced from a plot in La Horra (over in the Burgos province) called “Barroso”, with old vines planted in pebbles over clay-limestone with good drainage. Later other adjoining vinyards with similar characteristics, like the “Parrando”, were added. Today 5.000 bottles are made annually from 4,5 hectars, and the yield is only 9 hl/ha. “2nd wine” Flor de Pingus (a tenth of the price, ten times the production) were initially sourced from the vineyards of Villacreces near today’s Pingus winery, but now it comes from La Horra too. The main wine ferments in 1800 liter barrels, while Flor ferments in tank. The vinification has been altered a bit through the times, towards less new oak and less extraction. Flor now spends 18-22 months in 30-40% new oak, while Pingus sees mostly 2nd year oak for 24 months. Fermentation starts when the must is heated. There is not much extraction these days, and almost no pumping-over: For the current vintage nothing. 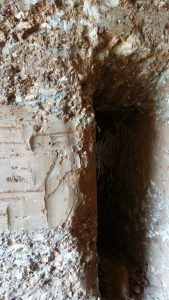 Psi is fermented in cement tanks and large old wooden casks, and in general little oak is used. For the time being it’s made in rented fascilities. There is in fact a forth wine called Amelia. This is from a very old plot in La Horra. The grapes from here used to go into Flor, and cuttings were used to replace old vines in the Pingus vineyards. Since 2003 however it has been separately bottled, and the whole tiny production is sold to the USA. Everything is sold “en primeur”. To be precise, there are allocations between the regular customers. 2016 was a good year, easy to work and without complications. The samples show a good freshness. The three wines were clearly in the same direction, so here follow only some brief notes. Psi (mainly tempranillo, but also around 10% garnacha) was dark, with a flowery nose with cherry, herbs and a touch of coffee. Young tannins, high acidity and will not need much time to integrate the oak. Flor de Pingus: In the same vein, more aromatic, the same roasted notes, a touch more structured. Pingus: Again obviously in the same family. Deep, dark, with a violet rim. Already complex, more balsamic, blackberry, blackcurrant and blueberry waiting to come out, some nutmeg and other spices, but also roasted elements, a tough structure and high acidity. It’s worth repeating though, that these wines are not ready. They will smoothen with time and will keep very long. Who said a natural wine cannot age? Barranco Oscuro of the Alpujarras area of the mountaineous part of the Granada province is a producer with a completely natural approach to wine making. Manuel Valenzuela and his son Lorenzo have also spearheaded a Spanish movement in the natural wine field, with no additives, not even SO2, as key elements. 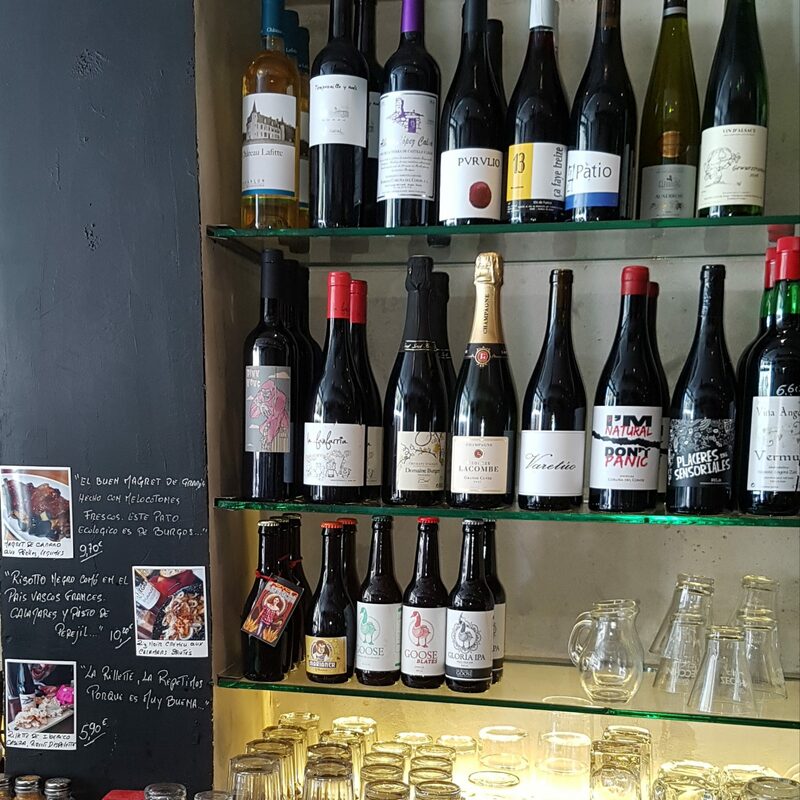 They make a variety of styles, from red to white wines, and sparklers too, from international grapes like merlot and viognier, national grapes like tempranillo and garnacha, and local obscurities like the white vijiriega. This is their wine from what used to be Europe’s highest vineyard at 1368 meters above sea level, hence the name. The grape composition is garnacha, carignan, cabernet sauvignon and -franc, and merlot. From the vineyard you can look up on the Mulhacén peak of the Sierra Nevada mountain range. Here it’s easy to obtain both ripening from the sun and acidity because of the elevation. As a young wine it often shows an evident oakiness. Now it is perfectly integrated, and at the same time by no means fruitless. Cherry red with developed tones. 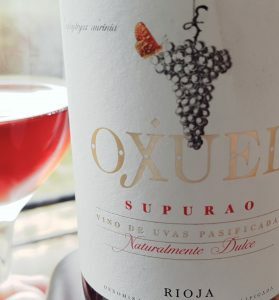 Aroma of cherries, plums, hint of prunes, aromatic spices, mushroom and undergrowth. It’s full and fleshy in the mouth, integrated oak, some warmth and alcohol from the sun, nicely knitted together by a cool acidity. Ramón Saavedra is waiting in the main square when I arrive in Graena, a small village east of Granada. Otherwise it might have been difficult to find his home among all the other houses that apparently look the same. Apparently. Because, as we shall see, when we enter the bodega area behind the house this is all but ordinary. The municipality is called Cortes y Graena and is comprised of four villages. The word Graena is of Arabic origin, and the caves are a legacy of the Arab Andalusian period. A most special feature here are the thermal waters. In fact the name of the bodega is also inspired by the Moors; al-cauzon meaning something like the land of the sand. Ramón Saavedra returned to his village to take over inherited land that he later planted with vines. He had then been working with Manuel Valenzuela of Barranco Oscuro, to help with pruning etc. In 1998 his first harvest was finally bottled. The soil is sandy-clayey and calcareous with big, round stones. There is continental climate, with extreme summers with more than 25ºC difference between day and night in the maturation period. 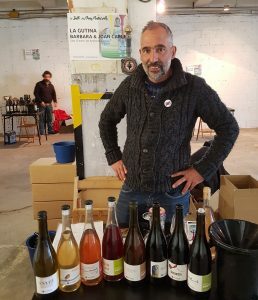 It’s a perfect place to make organic and natural wines, but since his own wines express such a crystal clear idea, I’m maybe a bit surprised by Ramón’s pragmatic attitude about the trade in general. -Well, for me it’s not only about health, it’s about the balance in nature. I wish that my wine should expressing the earth. But I respect everybody. However I wish that the communication is clear, what you say is what you do. We are 1.080 meters above sea level, and some of the vineyards are at 1.200 meters. Ecological cultivation, manual harvest, natural production. 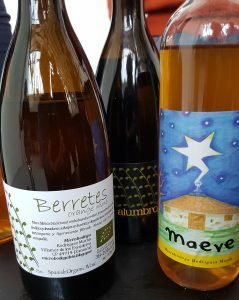 Wines without added sulfites and fermented with their own yeasts. Without additives of any kind. Its maximum annual production is 20,000 bot. There are 7 parcels and a total of 6 hectars, all in the Graena village. Here are a lot of field blends from the old days. The cactus both delimits the vineyards and have a function in the biodiversity. Sheep compost is used as fertilizer. 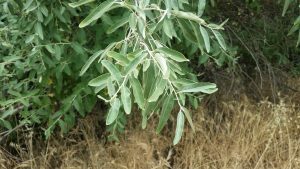 -The panjil tree (also called Bohemian olive, or olive of Paradise) has a strong and inviting aroma, so the insects come here instead of attacking the vineyards, says Ramón. The Moorish people had a lot of knowledge about this. -In the old times people were living here. Now I also see a possibility for tourism. We wish to offer a form of rural accommodation here. Thumbs up for a new bodega within two years! We had the time for a tasting too. I will not bore my reader with the tank and barrel samples along the way. But here is a brief tale about the bottled wines. The white Cauzón 2015 from torrontés and some chardonnay, viognier and sauvignon blanc was dark orange, very juicy, grapey, elegant and smooth, but very sapid too. 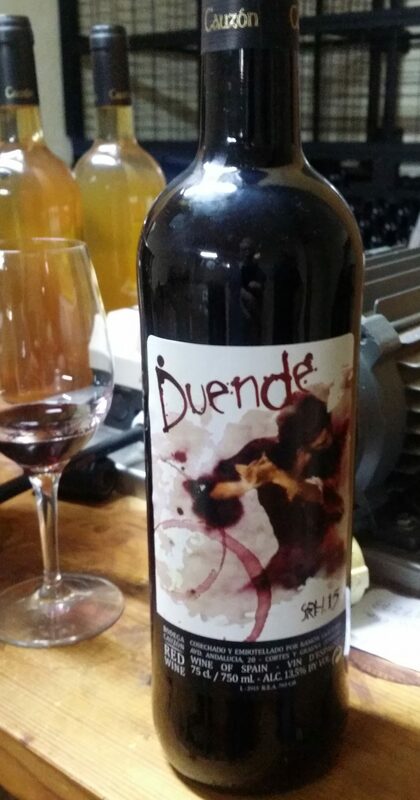 Duende 2015, a dark syrah from 1.200 meters of altitude, had violet, eucalyptus and other balsamic notes, wild berries and leather, nice fruit in the mouth, with bright acidity and pleasant tannins. The 6,5 grams of acidity comes from the high altitude. Cauzón 2015 red from tempranillo was difficult because of the lack of rain. Therefore we don’t find the same fruitiness, says Ramón, who is quick to fetch the same wine in version 2014, just to compare. This one clearly has more fruity berry notes, spice, and it tastes younger, overall. The Ira Dei 2014, tempranillo (or tinta fina), garnacha, cabernet sauvignon and merlot, partly from ungrafted stocks, has ripe fruit, some lickorice, but also a lot of freshness. The mouthfeel is quite dry due to more maceration of the three last grapes, but the fruit is there all the time. 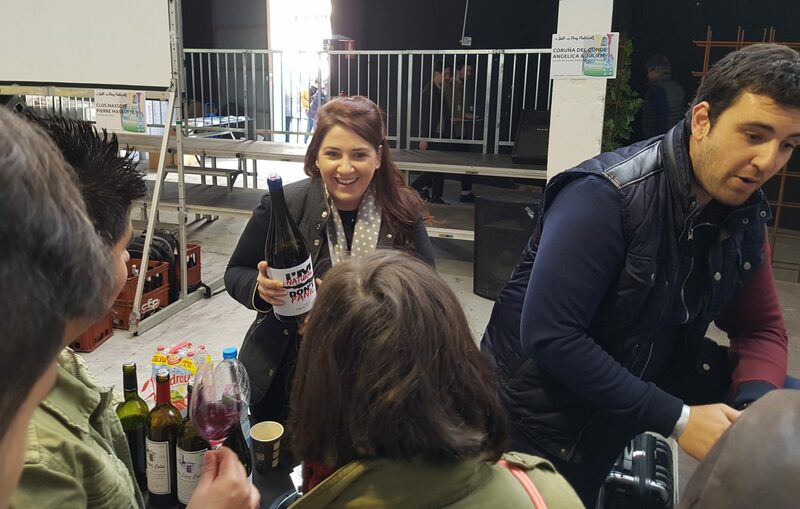 Lastly we tasted the Pi Noir 2014, and this was a concentrated pinot, also with some volatile, but with a fruity aroma with red berries in the forefront. Cauzor 2009 showed some sign of ageing towards the rim, but was in a good shape. It has some plum confit in the aroma, but there are fresh fruits too, and is delicious now.